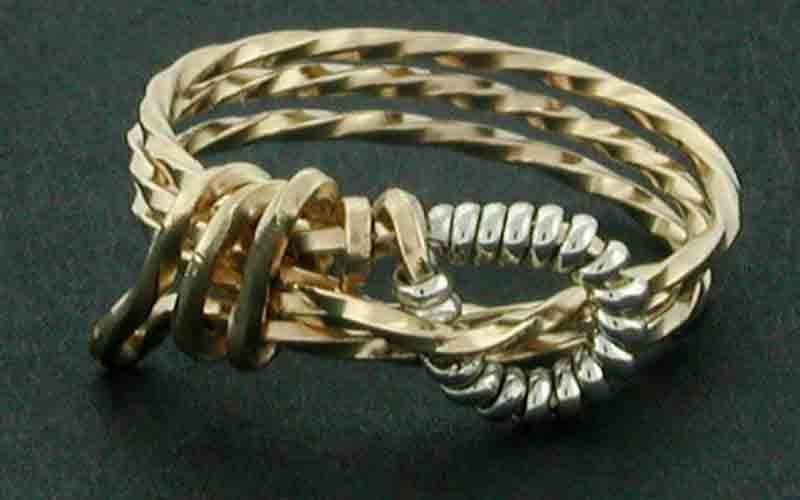 This unique and stunning men's ring is designed in a heavier gauge 040 square gold wire that is hand twisted. 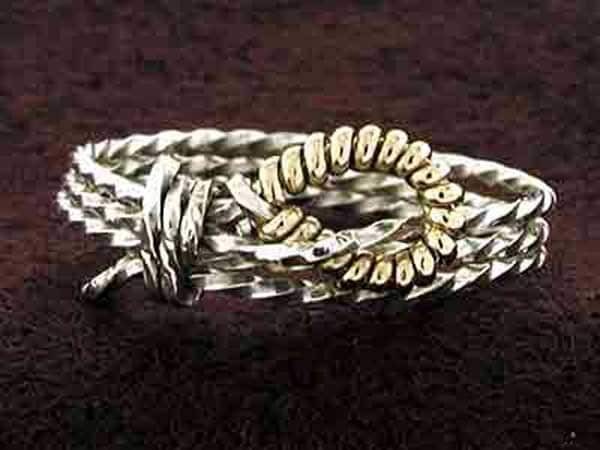 We then wrap the rondo in a smaller sterling silver wire to offer contrast. The materials can also be reversed.